Abu Hurairah RA is another famous Sahabi. No other person has narrated as many Alhadith as he has done. 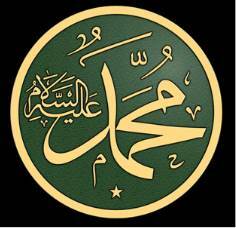 He embraced Islam in 7 A.H. and as Nabi SAW died in 11 A.H., he had been with him for four years only. People used to wonder how he could remember so many Al hadith in such a short period. He explains this himself, saying: "People wonder how I report so many Alhaadith. The fact is that while my Muhaajir brothers remained busy in business and my Ansar brothers did their farming, I was always with Nabi SAW. I was among the people of Suffah. I never cared to earn my living. I was happy with the little food that Nabi SAW gave me. I would be with Nabi SAW at times when no one else was there. I once complained to Nabi SAW about my poor memory. He said, 'Spread your shawl!' I did so. He made some signs on the shawl with his own hands and said, 'Now wrap this shawl around you.' I wrapped it around my chest. Since then, I have never forgotten anything that I had wished to remember." The people of Suffah were living in Nabi's SAW Masjid. They had no regular source of income. They were the guests of Nabi SAW, who gave them Sadaqah and shared with them the gifts that he received. Abu Hurairah ra was one of them. He would sometimes go without food for days together and would sometimes behave like a mad person due to excessive hunger, as we have already seen in earlier. In spite of such difficulties, he was always occupied in memorizing the sayings of Nabi SAW. This enabled him to narrate such a large number of Alhaadith. Imam Ibn Jauzi (RA) has attributed as many as 5374 Alhaadith to him. Once he narrated the following Hadith: “A person participating in a funeral gets one Qeraat of reward if he returns after the funeral service, but gets two Qeraats of reward if he remains there till the burial is over, and one Qeeraat is weightier than mount Uhud." Abdullah bin 'Umar heard this and doubted the authenticity of the Hadith, saying: "O, Abu Hurairah! Think before you speak." Abu Hurairah RA got upset over this and took Abdullah bin Umar RA to Aisha RA hand said to her: "O, Ummul-Muk'minin, I request you to say by Allah if you have heard from Nabi SAW the Hadith regarding Qeraats of reward?" She said: "Yes. I have heard this Hadith." Abu Hurairah RA then said to Abdullah bin Umar RA: "During Nabi's SAW time, I had no tree to plant in the orchard and no goods to sell in the market. I was always with Nabi SAW. My only job was to memorise what Nabi SAW said, and to eat only what he gave me." 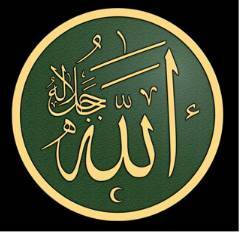 "I recite Istighfar 12 000 times daily." He had a piece of thread with 1 000 knots. He would not go to sleep until he had said Subhanallah on all of these knots. Abu Hurairah (R A) , (also known as `Abd al-Rahman ibn Sakhr Al-Azdi) was a companion of the Prophet Muhammad (SAW) and the narrator of Hadith.Abu Hurairah (R A) had an excellent memory which is why he was able to narrate so many hadith. Abu Hurairah (R A) was born in Baha, Yemen into the Banu Daws tribe from the region of Tihamah on the coast of the Red Sea. His father had died, leaving him with only his mother and no other relatives. His name at birth was Abd al-Shams (servant of the sun). However, as a child, he had a cat and became known as "Abu Hurairah (R A)" (which literally means "Father of the Kitten" or more idiomatically "Of the kitten"). Another recognized fact is that after embracing Islam Abu Hurairah (R A) looked after the mosque and Prophet Muhammad (SAW) . He made it a regular habit to give the left over food to the wandering cats. Gradually the number of cats around the mosque increased. He loved to caress and play with them. Hence he got the name Abu Hurairah (R A) - Father (care taker) of kitten. As a young man, he worked for Bushra bint Ghazwan. Abu Hurairah (R A) embraced Islam through Tufayl ibn Amr the chieftain of his tribe. Tufayl had returned to his village after meeting Muhammad (SAW) and become a Muslim in the early years of his mission. Abu Hurairah (R A) was one of the first to respond to his call, unlike the majority of Tufayl's tribesmen. Abu Hurairah (R A) accompanied Tufayl to Mecca to meet Muhammad (SAW) who renamed him Abd al-Rahman (servant of the Merciful, one of the 99 Names of God). Abu Hurairah (R A) then returned to his tribe for several years. Abu Hurairah (R A), with other Muslims, suffered from hunger when the Muslims were poor in Medina. When I was afflicted with severe hunger, I would go to a companion of the Prophet and asked him about an ayah of the Qur'an and (stay with him) learning it so that he would take me with him to his house and give food. One day, my hunger became so severe that I placed a stone on my stomach. I then sat down in the path of the companions. Abu Bakr passed by and I asked him about an ayah of the Book of God. I only asked him so that he would invite me but he didn't. Then Umar ibn al-Khattab passed by me and I asked him about an ayah but he also did not invite me. Then the Messenger of Allaah passed by and realized that I was hungry and said: "Abu Hurairah (R A)!" "At your command" I replied and followed him until we entered his house. He found a bowl of milk and asked his family: "From where did you get this?" "Someone sent it to you" they replied. He then said to me: "O Abu Hurairah (R A), go to the Ahl as-Suffah and invite them." Abu Hurairah (R A) did as he was told and they all drank from the milk. Abu Hurairah (R A) then spent one year and ten months with Muhammad (SAW) in Medina, before the Prophet's death on 8 June 632 in Medina. Abu Hurairah (R A) had an excellent memory which is why he was able to narrate so many hadith. "Narrated Abu Huraira: I said, ‘O Allaah’s Apostle! I hear many narrations from you but I forget them.’ He said, ‘Spread your covering sheet.’ I spread my sheet and he moved both his hands as if scooping something and emptied them in the sheet and said, ‘Wrap it.’ I wrapped it round my body, and since then I have never forgotten a single Hadith." Abu Hurairah (R A) died in 681 or 59 AH at the age of 78 and was buried at Al-Baqi'. Of the hadith held as authentic by the Sunnis, Abu Hurairah (R A) is the most quoted person in men. Next to him come the names of such companions as Abdullah ibn Umar, Anas ibn Malik, Jabir ibn Abdullah, Abu Said al-Khudri and Aisha (the youngest wife of the Prophet) all of whom transmitted over a thousand sayings of Muhammad (SAW) . His daughter married Said ibn Al-Musayyib. -The Memory of the Revelation Era. It is true that a person's intelligence reckons against him, and those who own extraordinary gifts often pay the price at a time when they should receive a reward or thanks. The noble Companion Abu Hurairah (R A) is one of those. He had an unusual gift which was his strong memory. He (R A) was good in the art of listening and his memory was good in the art of storing. He used to listen, understand, and memorize; then he hardly forgot one word, no matter how long his life lasted. That is why his gift made him memorize and narrate the Prophetic traditions (Hadiths) more than any of the Companions of the Messenger (SAW). Abu Hurairah (R A) was not a scribe, but learned by heart, and he had this necessary free time, for he had no land to plant or commerce to take care of. 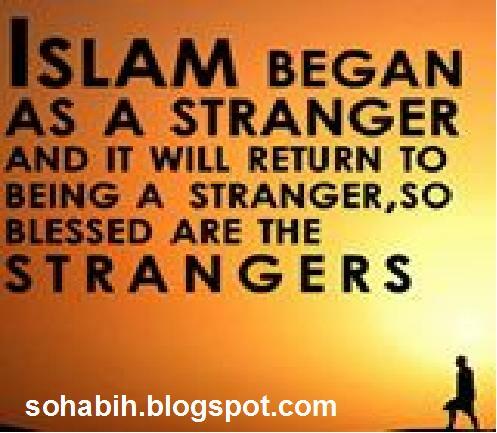 Believing that he had embraced Islam late, he intended to compensate for what he had missed by accompanying and sitting with the Messenger (SAW). Besides, he himself knew the gift Allaah had bestowed on him, which was his broad, retentive memory, which became even broader and stronger after the Messenger (SAW) had invoked Allaah to bless it for him. Then why should he not be one of those who took the burden of keeping this legacy and transmitting it to the coming generations? Yes, this was the role that his talents made possible for him to play, and he had to play it without flagging. Abu Hurairah (R A) was not one of the scribes, but, as we said, he had a strong memory that made him retain things in his mind very quickly. He had neither land to plant nor commerce to keep him busy; hence he used to not part from the presence of the Messenger, neither in travel nor at other times. Thus, he devoted himself and his precise memory to memorizing the hadiths and instructions of the Messenger of Allaah (SAW). When the Prophet (SAW) died, Abu Hurairah (R A) kept narrating his traditions, which made some Companions wonder how he could know all those hadiths? When did he hear them? Once Marwaan Ibn Al-Hakam wanted to examine Abu Hurairah (R A)'s ability to memorize. He invited him to sit with him and asked him to narrate about the Messenger of Allaah (SAW) while a scribe sat behind a screen and was told to write whatever Abu Hurairah (R A) said. After a year, Marwaan invited him once again and asked him to narrate the same traditions the scribe had written. 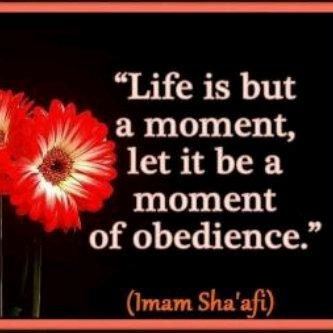 Abu Hurairah (R A) had not forgotten a single word! He used to say about himself, "No one among the companions of the Messenger of Allaah (SAW) narrates about him more than I do except `Abd Allaah Ibn Amr Ibn Al-'Aas. He used to write, but I didn't." Imam Ash- Shaafiy (R A) said about him, "No one in his period was more capable of narrating traditions with such a memory than Abu Hurairah (R A)." Al Bukhaariy said, "Almost eight hundred or more Companions, followers (the generation after the Companions) and people of knowledge narrated through Abu Hurairah (R A)." Thus, Abu Hurairah (R A) was a big, immortal school. Abu Hurairah (R A) was an ever- and oft-returning worshiper who used to take turns with his wife and daughter in praying the whole night. He prayed one third of the night, his wife another third, and his daughter a third. Thus, not one hour of the night passed in Abu Hurairah (R A)'s house without prayers. In order to be free to accompany the Messenger of Allaah (SAW), he suffered the cruelty of hunger like nobody else. He used to talk about the times when hunger was so cruel that he would put a stone on his stomach, press his liver with his hand, and fall in the mosque while twisting that stone such that some of his friends thought that he was epileptic, but he was not. Abu Hurairah (R A) led the life of a worshiper and fighter. He did not miss a battle or a pious deed. During the caliphate of `Umar lbn Al-Khattaab (R A), he made him governor of Bahrain. `Umar, as we know, used to call his rulers sternly to account. If he made one of them governor when he had two garments, on the day he ceased to govern, he should still own no more than those two garments, and it would be better to leave office with only one ! But if he left office with any display of wealth, he would not escape `Umar's reckoning, even if the source of his fortune was halaal. It was another world that `Umar filled with wonders and miracles. When Abu Hurairah (R A) was made governor of Bahrain, he saved some money from halaal sources However, Umar knew and invited him to Al-Madiinah. 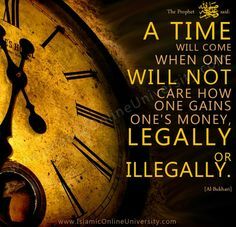 Let Abu Hurairah (R A) narrate the quick conversation that took place between them: `Umar said to me, "O the enemy of Allaah and His Book, did you steal the money of Allaah?" I said, "I am not the enemy of Allaah or His Book. I am the enemy of their enemy. Besides, I am not the one who steals the money of Allaah!" He said, "Then how did you gather 10,000?" I said, "I had a horse that had foaled repeatedly." `Umar said, "Put it (the money) in the Bait Al-Maal (the treasury)." Abu Hurairah (R A) gave the money to `Umar and raised his hands towards the sky saying, "O Allaah, forgive the Commander of the Faithful." After a while `Umar called Abu Hurairah (R A) and offered him the governorship again. However, he refused and apologized. `Umar asked why. Abu Hurairah (R A) said, "So that my honor would not be at stake, my money would not be taken, and my back would not be beaten." He added, "I'm afraid I would judge without knowledge or speak without patience." Returning from his funeral, the people kept reciting many of the traditions that he had taught them about the noble Messenger(SAW). One of the recent Muslims asked his friends, "Why was our deceased sheikh called Abu Hurairah (R A)?" His knowing friend answered, "In the pre Islamic time his name was `Abd Shams. When he embraced Islam, the Messenger called him `Abd Ar-Rahman. He used to be sympathetic towards animals. He had a cat that he used to feed, carry, clean, and shelter, and it used to accompany him as if it were his shadow. Thus, he was called Abu Hurairah (R A), which means father of the small cat. (HURAIRA)"